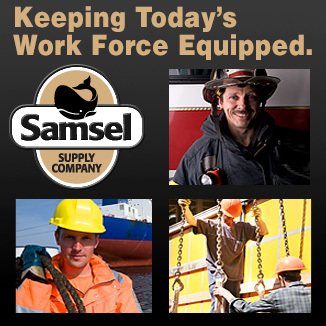 Samsel Supply Company Cleveland Ohio: Distributor of industrial tools & maintenance supplies, commercial marine, safety, lifting and rigging products. One stop shopping with Samsel Supply can save time and money. Offering a broad range of high-quality, product solutions that can help increase production and to get the job done. The staff of product technicians help solve production problems and educate on the latest in product technology available today. We supply today’s workforce with a full line of maintenance (MRO) products, hardware, tools and fabrication services. With our experience in material handling, hoists and below the hook lifting, along with knowledge of heavy hardware, custom rigging, slings and cordage are well known throughout the industries. 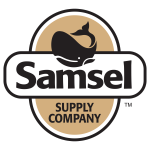 Samsel is also one of the largest maritime suppliers on the Great Lakes. Samsel is a major supplier of safety related equipment, such as used for confined space and fall protection. We have a full line of safety supplies for first responders like the fire and police departments as well as commercial marine, construction and industrial workplace. Our staff of trained and certified technicians and inspectors are available to help you stay abreast of the changing safety regulations for your application. We can assist with your annual chain, rigging and life raft inspections. You’ll Always Have Access To The Latest Product Innovations. Samsel product specialist are always educating themselves on the latest in product innovations, so you will always be using the tools that allow your staff to work at optimum efficiency. The right tools can cut production time and cost. You’ll Always Have Great Technical Support. If your having a production problem, we will help you solve it. If your having a problem with a tool, or a simple maintenance issue, just call us. We will handle it quickly over the phone, by e-mail, or on site if needed. Samsel Supply has announced the addition of Ohio Hydraulic Jack Service Co. to the Samsel Family. Ohio Hydraulic Jack Service Co. is a full-service hydraulic repair facility and distributor of hydraulic components located in Cleveland Ohio. While extremely diverse, the addition of Ohio Hydraulic will allow Samsel to expand its capabilities and offer its services to its ever increasing number of industrial, construction and commercial marine customers. Samsel represents more than 100 leading manufacturers that produce the highest quality products available today. Because our purchasing agreements and large volume of business, we can offer pricing that isn’t available to small volume purchasers. Our custom fabrications produced in house at Samsel will always be constructed of the highest quality materials, and delivered at a fair price.